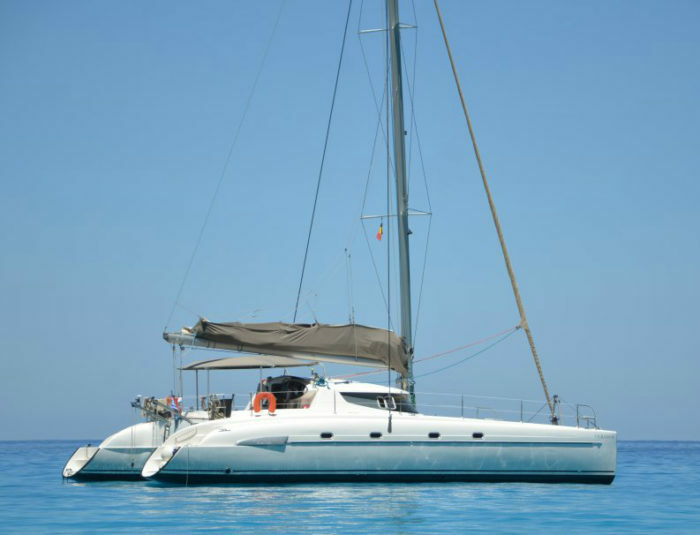 Sistership of OURANOS, this impressive catamaran provides a fast and powerful sailing as well as great balance and stability. 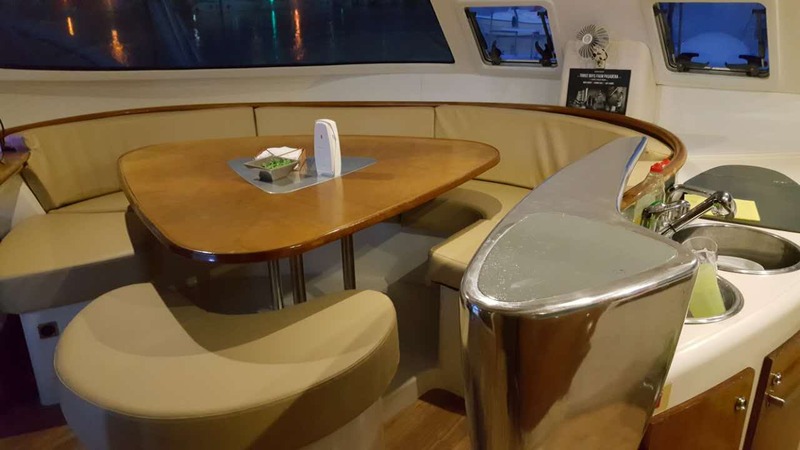 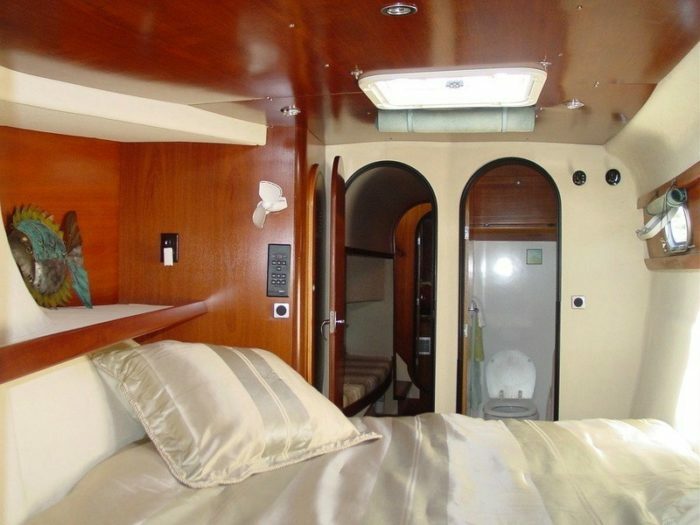 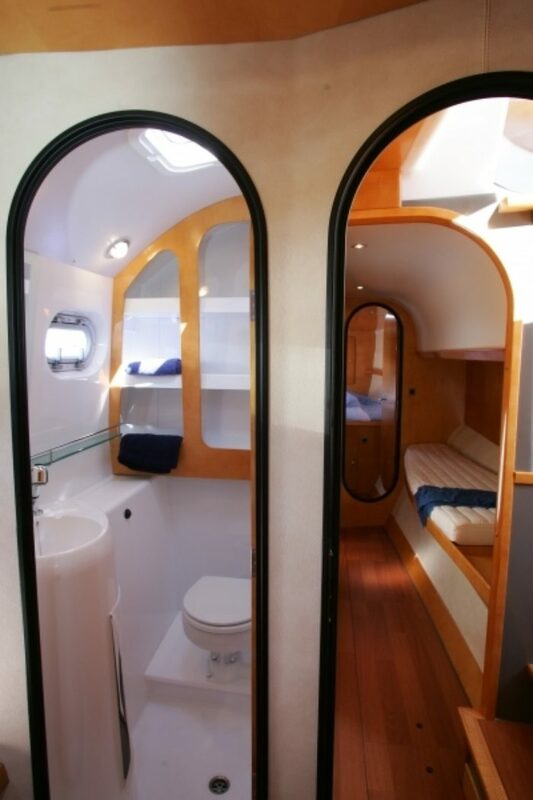 She offers a spacious and well protected cockpit aft and a huge sunbathing area at the front equipped with comfortable deck mattresses. 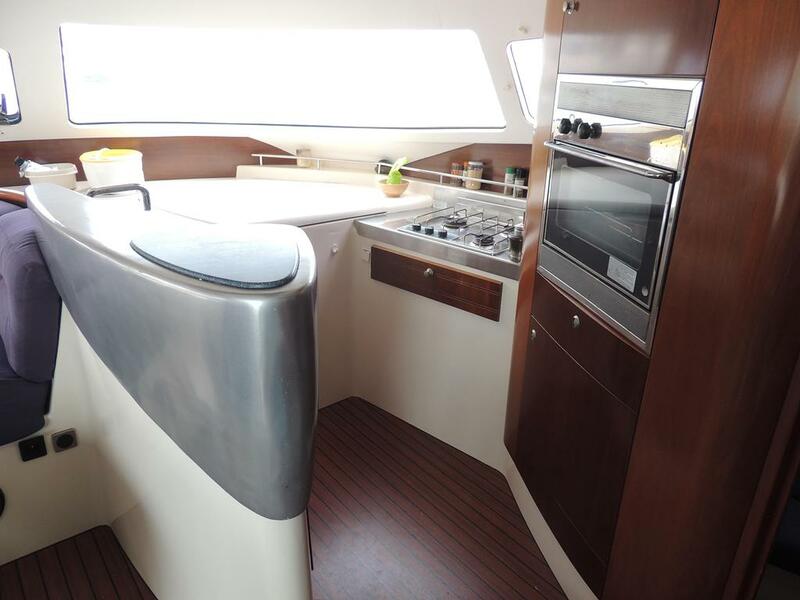 Her stylish and comfortable transom steps and clean deck plan allow easy movement around the boat. With her roomy interiors and her sculpted hull and deck lines, she is the right combination of comfort, performance and elegance. OKEANOS can welcome up to 20 persons on a day tour and 6 guests for overnight cruises. 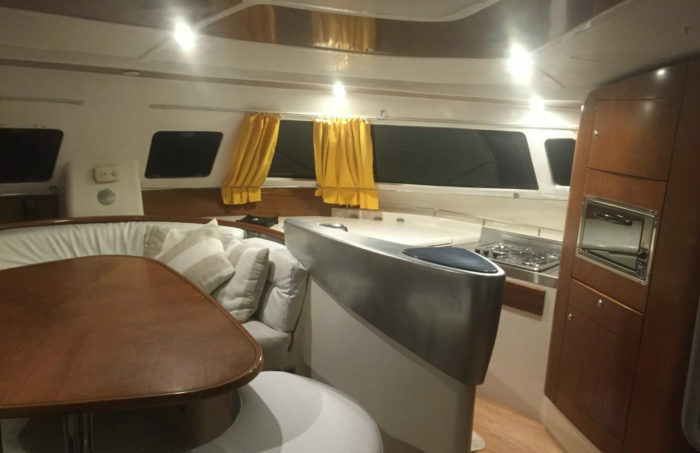 Accommodations: One very comfortable Master cabin and two guests cabins all with en-suite bathrooms, two single cabins upfront. Length14,05 m / 46 ft.
Beam7,40 m / 24 ft.